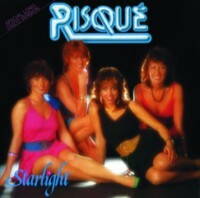 More Miss You aceness from the Sound Metaphors camp as they hit us with a bigly yuge reissue of Risqué's sublime slo-mo disco bomb "Starlight" - pressed loud AF and ready to tear the dancefloor asunder! Approved by none other than Sarcastic hero DJ Harvey-himself (check his Boiler Room for a damage report), the track materialises with twinkling arps, soft pads and jazz-funk guitars, all underpinned by that solid kick which carries us to the pay off. Two synth vamps later and we're rocking under the influence of that MASSIVE synth bass, swaying from side to side as the cosmic sequences and big female vocals reach for the ecstatic. What very heaven it is to peak at 98BPM! Patrick says: Top five slo-mo disco weapon here - originating in Holland 1982, now back in press for those who know in 2k18. WTF is powering that bass sound? Did these girls came from outer space? Have I just necked a gary? This record is the only answer you need!